Geraint Wyn Davies and Yanna McIntosh – two first rate actors … what can possibly go wrong. Apparently a lot, otherwise someone wouldn’t have laughed out loud during Antony’s death scene. It was probably the worst ouch moment in this production. It started out so well. Antony and Cleopatra together in Egypt, living the good life, casually dressed and enjoying each other almost a bit like a wedded couple where the spark of first love hasn’t vanished yet. Antony mostly ignores the letters from Rome that remind him of his duties, Cleopatra trying to entice him anew each day, knowingg that her power and standing comes from his army and should he go for good, neither she nor her followers would be safe for long. But then there’s one letter he can’t ignore. Antony’s wife died and he has to come back to Rome. And as soon he’s there he sheds the lover and becomes the politician again – he marries the Caesar’s sister. That he then leaves for Egypt doesn’t go over so well. I was so ashamed I actually skipped stage door. Oh, Cleopatra: in order to not fall into the hands of the Roman victors who would have displayed her in a triumph, she lets herself get bitten by a poisonous snake. I loved Seana’ s portrayal of a mature intelligent queen who is politically aware and sexually attractive to get what she wants. She was incredibly impressive. And I don’t know if it was me or if he had a bad day, but I wasn’t overwhelmed by geraint wyn davies. Maybe I saw him in too many Shakespeare plays where he used his Welsh accent. But in his scenes with Cleopatra – even though there was much kissing and grasping – I got more the impression of a constantly tipsy merchant than of a high ranking soldier enthralled by the most beautiful woman of all Egypt. Now, I’ll see it again. Maybe we’re both in a better disposition then. At least that’s what I hope. 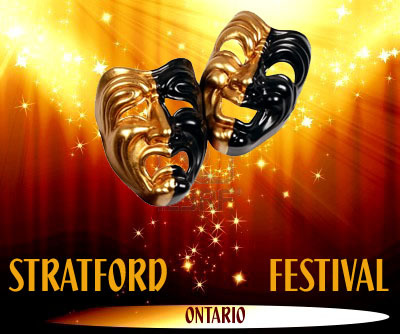 This entry was posted in Stratford Festival Ontario and tagged auction, Geraint Why Davies, Ontario, seana McKenna, Stratford Shakespeare Festival, Yanna McIntosh. Bookmark the permalink.